Houndy is just not quite ready to start in work yet. 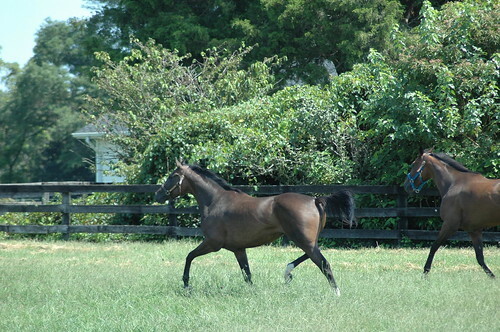 Some horses just need more time to get over the rigors of racing before getting started. Not fair to ride them when you can just look at them as see their bodies still hurt. 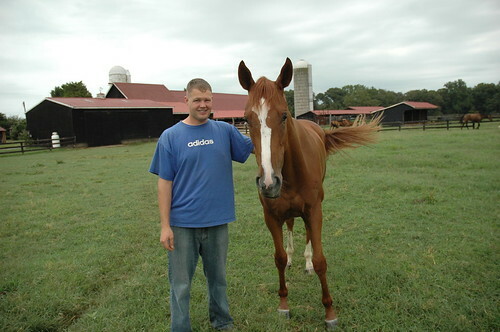 I’m going to take him over to the Centreville farm and bring back another horse who is ready to get going. I had a fascinating day with Gina Perilla from County saddles. I think we now own four county saddles and they just fit my body and work well for the typical Tb body shape. I try to have Gina come down every six months just to take a peek and fit the horses that I am riding the most. Make sure I’m not overlooking any glaring issues. I recently saw a county conquest on ebay in a 19″ wide with a long flap and bought it for Kurt/Junior. Junior went from a medium to a medium wide and now a wide. As the only non-Tb in the barn he had to have his own saddle. Kurt is excited to not have to share my saddles and I guess we will now borrow his saddle when we ride Junior even if it is going to be way to big in the seat for us. Gina suggested just using a seat cover to take up some of the extra space. It is possible that I may have lights in the ring by the end of the week which will be wonderful! We continue with all of our farm projects. Recently, we upgraded our fencing in our small paddocks to the diamond mesh no climb with a flex board on top. 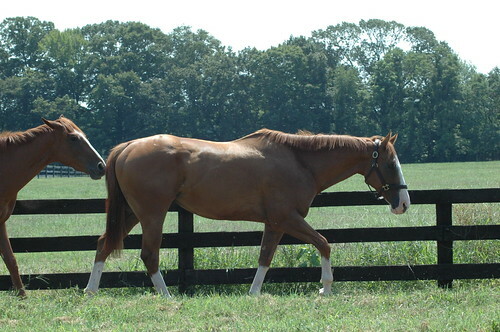 Excellent fencing for the Tb’s coming right from the track and the layups. Super busy day yesterday which is the norm around here. We headed up to the track with the trailer as we had planned on picking up one horse at the track that had been donated. We didn’t have enough time to make a full track visit but we did get half of the barns. 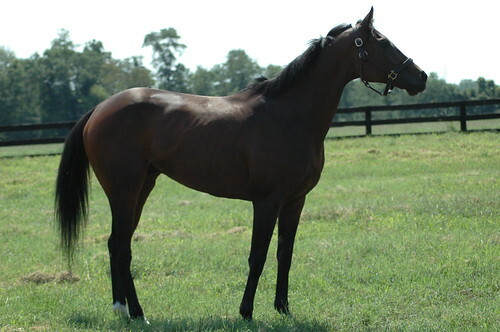 We were so happy to hear trainers giving CANTER the highest praise. 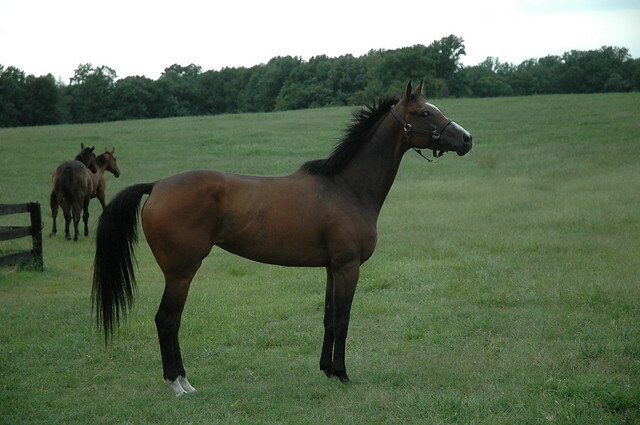 One trainer said they are so happy to have CANTER there and that we provide a great service. The other trainer had been to my barn to drop off a donated horse and he was very complimentary of our process. Another trainer simply said thank you for being here at Delaware Park. We have such a great group of volunteers at Delaware Park that are dedicated to helping and it always feels good to be appreciated. The difference in our second year at Delaware Park has been interesting. We have earned the trust of the trainers and shown them that the process does work. 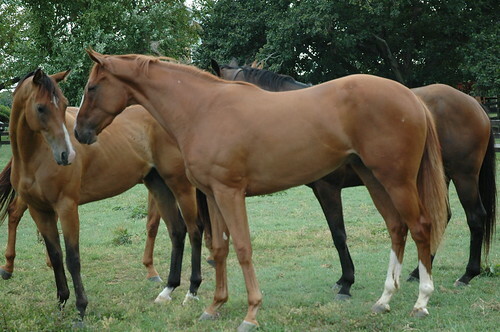 Not only have we listed almost double the number of horses but we have gotten absolutely lovely horses on donation. The trainers are willing to donate them to ensure their good homes are guaranteed. We loaded up the three from the track and then headed to a farm to pick up the other. It was an interesting process and we didn’t do it the best way but live and learn. We should have loaded the back first and then the box but didn’t so the last horse got on the back and I had to slide out past him to get out of the trailer. Stupid but still alive if that counts. Quickly called the farm to tell them I’m bringing 4 horses instead of 2. They are awesome and have so much acreage it doesn’t matter how many we bring. Whew, onto the farm. 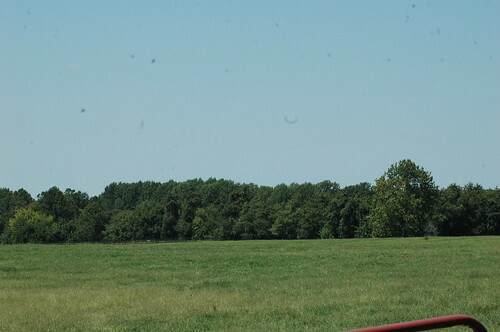 The farm has several huge pastures that look like this. He was so happy to get turned out! Everyone settled in really well and I headed back home to get some riding done. Kiss a Monster is doing really well. He got his teeth done and already felt better. 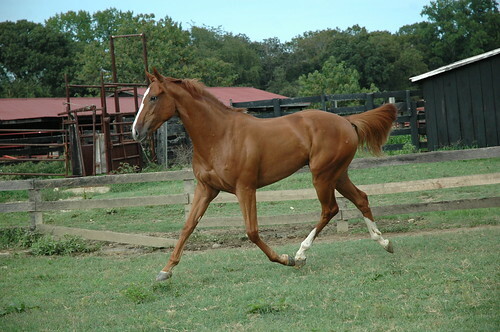 I introduced him to trotting some cavalettis which you will see on the video. He tried really hard and was a good boy! Yesterday, I took the day off work as always to take care of horse/cat appointments. The barn kitties went off to the local SPCA and the horse dentist was coming in the afternoon. After I dropped the BOY cats off I headed into the barn to start riding before the dentist showed up. I wanted to see how Houndy was looking so I took him out to free lunge him around. Houndy has what I call the funk. You don’t even know where the soreness is coming from because he is just plain funky. The good news is that he has really improved and is almost sound. I think everything is just hurting him and his feet got pretty bruised up which contributes to the whole body ouch he is feeling. I pulled his mane, clipped him up and gave him a quick bath. He loves the attention and is just such a friendly horse. I was trying to take video of him trotting around and he kept coming right back to me. Crazy person waving a lunge whip at him didn’t seem to matter to much. He wanted to say hi instead of being chased around. I finished up with him and my mom showed up with her two horses so we could ride together. I tacked up Kiss a Monster. He has improved each ride and his steering is somewhat normal. His attitude has also improved greatly so he is no longer balking or trying to wave his legs around in the air when I ask him to PLEASE not go the direction opposite of where I am telling you to go. 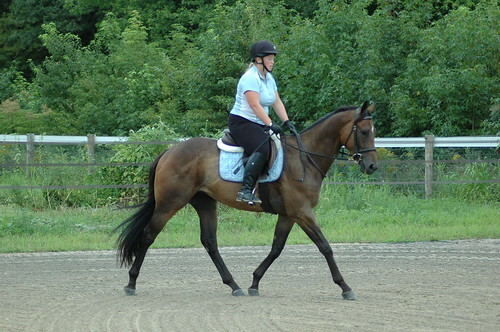 He is really nice off the leg, soft in the hand and fun to ride. In the middle of the ride the dentist shows up so I take him in and crosstie him with his halter on pointing out horses to the dentist. My mom wanted to take him for a spin so she took him back out and rode him around a bit. He was a good boy after she figured out how to steer him. You have to think early with him. If he gets it in his head he can go to the gate have fun getting him away from it. She started turning him earlier and he stopped thinking he could make it to the gate. Houndy, Ring Dancer, Monster and one of my horses were all schedule for the dentist. Houndy was declared good in the teeth department which is most excellent. Monster had one remaining cap that was just lightly flicked out and Ring Dancer had a few caps that came out. I hope to get some updated video of Monster this weekend for everyone. He is such a cutie! 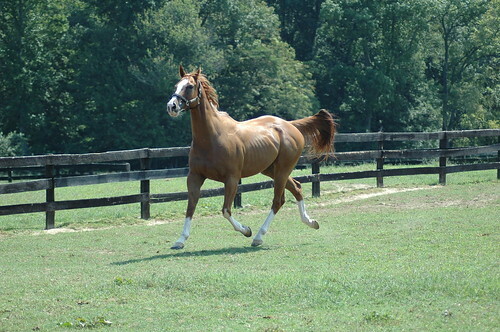 Tomorrow I’m headed to the track to make the rounds and also pick up a few horses. 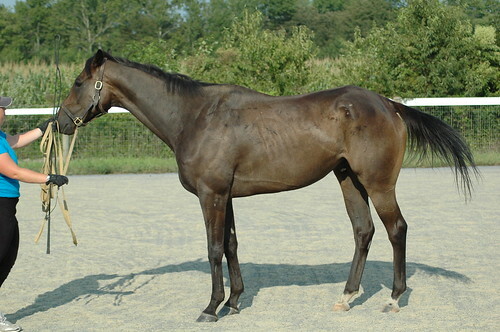 We have one donated from the track and another that has went to the farm already and is now being donated. We have been very busy with donations from Delaware Park this year! 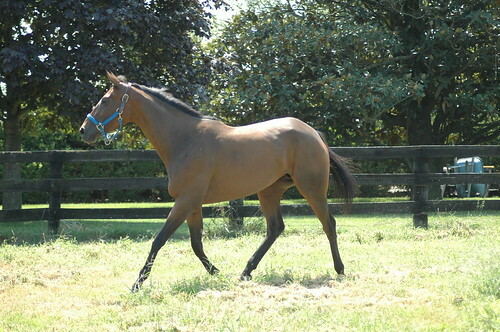 Lovely quality horses who are going to be filtering into our program over time. Kurt went to pick up the cats at the SPCA and apparently the BOY cat was really a girl 🙂 I hadn’t checked but Kurt had promised me he checked and it was a boy so I just made the appt. and didn’t think anymore about it. Glad he was the one who picked them up. He was very red in the face when he told us and we all got a good laugh. I will be posting pictures of the new donations over the weekend so keeping checking in! I would describe him as very quiet but defiant at the same time. We have arguments about steering and the go buttons. He says hey we are going over there and I’m saying look that is not acceptable. Then he does a prop and a tiny rear. I go tap, tap and more taps on his button letting him know what is not acceptable and we repeat until I’m satisfied the lesson has been learned. Tonight I thought it could be interesting because he had a few days off and the temperature had dropped drastically. Not to mention it was 8pm when I was getting on and I had moved all the jumps and changed the ring around. He was perfect! He is not spooky which is always nice but tonight he had a very good attitude about everything and his steering was much improved. Perhaps he just needed a few days to let the lessons sink in. We all noticed that he is starting to get fat! He looks fantastic and is only going to look better with more time and muscle. I think he is going to be quite fancy. He shows a lot of potential and I enjoy working with him. We will hit the trails if the weather stays this nice. No fun trying to fight the big bomber bugs we have here when it is hot and humid. Wow, what a busy weekend as always. I had taken off work on Friday to attend an evening horse trial over at Oldehope Farm. I have been competing there ever since I was young and it just has such a nice family feel. A great place for young horses and Jane is so accommodating. I was riding Meadow Mobster at BN and the difference between the first event and this event was night and day. This horse is so quiet and relaxed but at the first event he couldn’t concentrate on the jumps as he was to busy looking around. 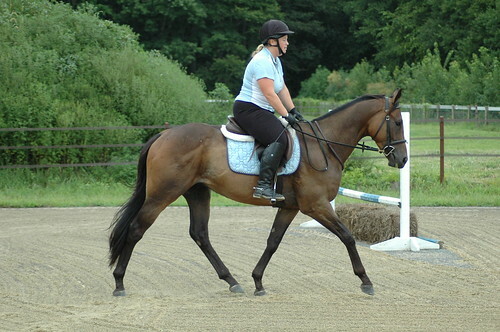 This time he had a lovely dressage test and came out of the trailer the second time understanding he still had to jump. He was so keen in stadium hunting down his fences and just plain happy. He came out of the start box x-c once again hunting for the jumps and was just so nice to ride. He wasn’t worried about leaving the crowd at all this time! He even went right in the water which was a huge deal. There is nothing better than sitting on a horse who truly loves cross country. This guy is really something special! Saturday turned out to be way busier than expected. 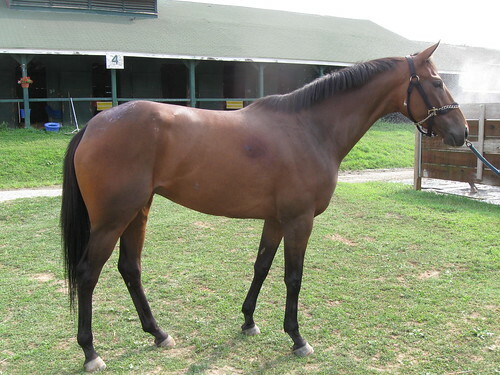 I headed up to Delaware Park to make the rounds for trainer listings. I met up with three other volunteers so we could divide and conquer. I was supposed to leave early and go meet the shipper who was coming to the Centreville farm to pick up horses. She ended up getting to the farm earlier than expected so I didn’t have to hurry. I saw a lovely 2yr that the trainer/owner wanted to donate. I agreed to take him and then quickly thought oh lord perhaps I should run that by our director first 🙂 Allie and I are normally on the same wave length about these things so she did agree..whew thank god! The first load of horses were picked up- Escabar, Rock and King Remda. Sonrea and Lady Wheaton were also getting picked up by a second shipper. They were all headed down to North Carolina where the market is booming for lovely Tb’s at reasonable prices. I left the track and headed out to Warwick, Md to make a farm visit. Took some pictures of horses there and talked with them about a horse they want to donate. 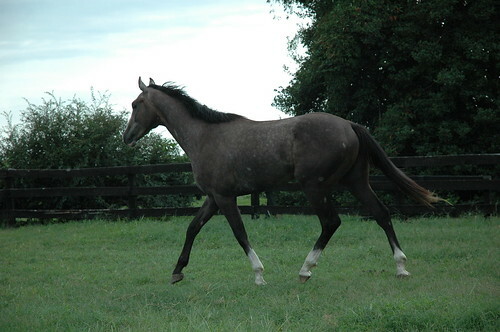 He was a lovely horse so hopefully he will end up with CANTER. I was planning on heading to C-ville but then decided we better go to the track and pick up the horses. I headed back home and met Kurt so we could travel up together. 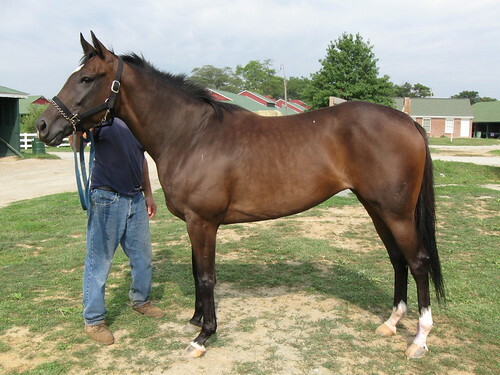 We picked up the 2yr and also a lovely 4 yr filly that had been donated. We then drove them out to the C-ville farm as I have zero room on my farm. We turned them out and checked all the horses at the farm. The farm owner’s both left for vacation and like typical horse people they are worried about new horses and making sure everyone is okay when they are gone. We unloaded the new horses and stuck around for a while making sure everyone was okay and visiting with all the horses. 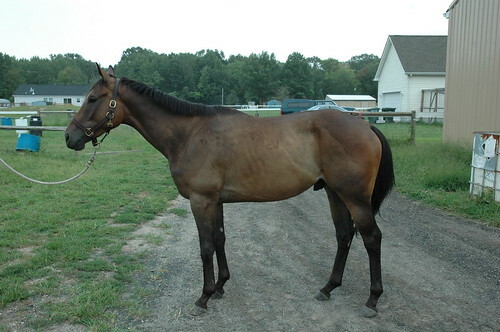 This is the 4yr filly. 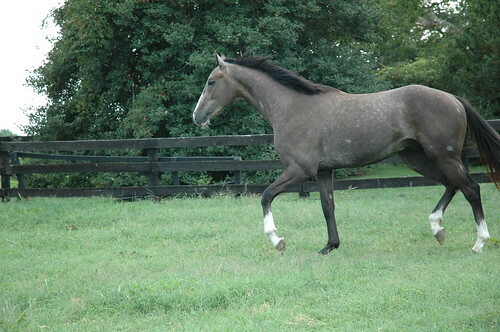 She is just so cute and a lovely mover! The geldings are a bit more laid back about new arrivals. 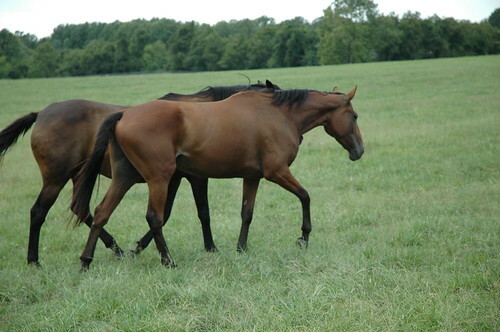 Diamond H is the chestnut, shine my shoes is the lighter bay and track’s protegé hiding behind them. Everyone was happy when we left. We headed back to the farm on Sunday morning to check everyone and of course they had taken down the fence that was separating the mares gate from the geldings field. They were all standing by the mares gate proud of themselves. I called them and look who came up 🙂 New 2yr is friendly! We repaired the fence and told the mares to stop tormenting the boys and go eat in the lovely fields of grass. Nope, they would rather plaster their butts up on the gate. Headed back home to get some riding done. Kiss a Monster was finally sound so we first dragged him out for the before shots. Gotta love these before photos. Our contractor was there working on a Sunday to bury the pipes for our electric to the ring. Our lights should be going up soon. He was riding around on the very loud ditch digging machine and Monster was totally like whatever I’m a 3yr but scary loud vibrating machines don’t faze me. He was super duper quiet but he doesn’t steer. Really doesn’t steer at all which was quite hilarious as I had to keep stopping him, turning around and then kicking him like a pony club kid. He was not really impressed by my kicking or giving him taps with the whip. Geez lady really what is your deal??? We had a short w/t/c session and called it a good first ride. Isn’t he adorable! I rode a few more horses and called it a day. Whew, what a busy weekend. It has been very busy with a lot of horses coming in on donation. Almost all are sound or have very minor issues that just need rest. The 2y’rs will get turned out until they turn three and are ready to be ridden. 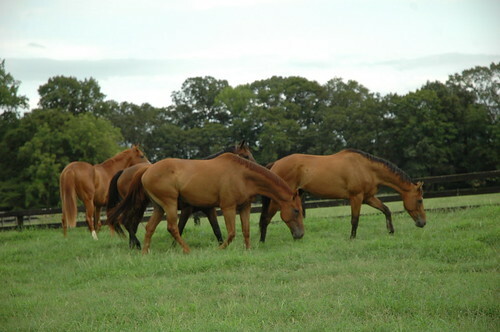 The rest will get a few months of rest before starting into the retraining program. 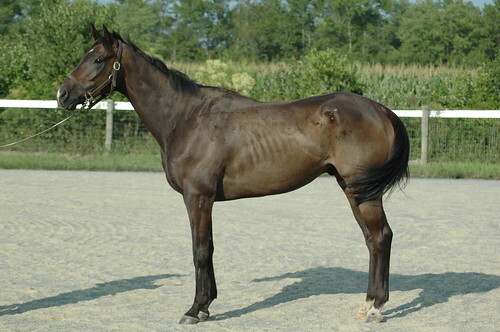 Looking at that pictures, I see a horse who at the moment looks pretty rough. Bleached coat, thin and a bit sore all over. If I look past the initial things that catch my eye then I see a different picture. I see a horse with a very keen expression and smart eye. Good shoulder, nice length of neck and an overall conformation that matches. I can picture him with weight and muscle and then I start to get pretty excited. He has a big personality and just seems smart. Right now he is still sore on his feet. He has shoes on but that transition from track shoes, no shoes and then back to steel shoes can be a hard one. I’m sure he will be fine in a few days and then I will get on him and see what I have got. I’m going to get Monster out tonight and see if he is sound now that the abscess has drained. He is walking very comfortably so fingers crossed. We all stood and looked at his leg last night almost amazed that an abscess can make a leg swell up so big. It has to be about triple the normal size and he is so very sore. The abscess is draining both out of the heel and the very front of the coronary band. The farrier was there and we poked and prodded a bit but of course there is nothing better than time, animalintex and forced turnout. I am a believer that you have to make them walk if they can so he is going out a bit at night just to walk around. I take pity on him during the day so he can come in and lay down if he wants. He was walking better yesterday than on Sunday so hopefully he will continue to improve. It’s easy to forget he is only a 3yr. He is such a sweetie to work around and seems like he has a really good mind. I am looking forward to him getting sound so I can ride him. Houndy got shoes on and will be ready to go. I’m hoping to get on him tonight. He has a huge personality and is quite the goofball. He also likes to put his feet in the water trough and dig holes 🙂 I promise to get some pictures..but I haven’t even pulled his mane yet. So many things to do and so little time.